For the developer, what are the typical considerations? An EIR may cost hundreds of thousands of dollars and take a year or more to prepare, followed by circulation for public review and comment. Then, responses to comments must be prepared. Sometimes, the EIR must be recirculated. That adds up to a lot of dollars and delay. Preparing an MND, however, also requires significant time and money, although, in the short run, less than an EIR. Circulation for review and comment, though for less time than for an EIR, also is required. While CEQA does not mandate written responses to comments on an MND, many agencies exercise their prerogative to do so. So, why might a developer ask the agency to prepare an EIR when the agency has said that an MND is enough? Being practical, if there is no legal challenge to a project’s approval, it doesn’t matter what CEQA documentation is used. But it’s important to recognize that the Planning Director who felt that an MND would do the trick may simply be wrong. And, at the time the documentation decision is made, how can the developer or the agency say with certainty that there will be no opposition, even if none has yet emerged? Often overlooked is the reality that the agency’s decision may not be the “last word.” If a CEQA challenge is later filed to overturn project approval, it will be a judge who decides what documentation should have been used. So, in the larger picture, the prudent developer must evaluate the potential implications of litigation when addressing whether an MND will actually cost less and put a project on the ground sooner than an EIR. While it may seem logical to assume that an MND and an EIR would have the same chances of surviving a court challenge, that simply is not the case. Why? Because the standard by which the courts evaluate the adequacy of MNDs is dramatically different from that used to judge EIRs. 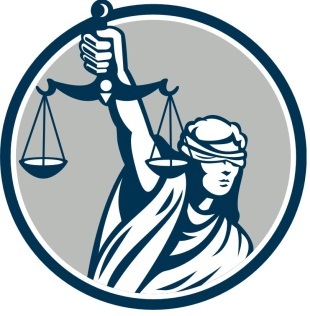 We’re used to thinking of the lady holding the scales of justice, ready to decide in favor of the party whose evidence causes the scales to dip even slightly in his or her favor. Lawyers call this the “preponderance of the evidence.” But that’s not the standard used in CEQA lawsuits. For a project approved using an EIR, the approval will be upheld if there is any credible evidence – referred to as “substantial evidence” by judges and lawyers – in the administrative record to support the agency’s decision. It doesn’t matter that there’s some or even more credible evidence in the record to the contrary. The judge is not allowed to reweigh the evidence. This is a favorable standard for the developer. The situation is reversed when a project approval relying on an MND is challenged. The court must reject the use of the MND if there is any credible evidence in the record that creates a “fair argument” that the project will have even one significant environmental impact. It simply does not matter how much evidence is in the record to the contrary. This is, perhaps, the easiest standard to meet in civil law and quite unfavorable to the developer. As a result, an MND can make a project approval far more vulnerable than might an EIR for the same project. If an MND is found inadequate, then after the considerable time and expense of litigation (including often having to pay the legal fees of the opposing party and the agency), the developer may be required to start the CEQA process all over by preparing an EIR. Despite the inherent risks of using an MND, the choice between an MND and an EIR is not always easily made. A project that might generate huge profits if it comes on line today may be lost if it can’t open for business until next year. On the other hand, while it may seem that there’s not enough time to prepare an EIR today, will there still be enough time (and money) to prepare one tomorrow after your project opponent shoots down your MND in court? And what about that planner who told you in good faith that an MND would be just fine? To paraphrase those oft quoted words from Otter in Animal House: you screwed up – you trusted him. Our suggestion, then, is that when that planner tells you that you only need an MND, you reflect on the words of Otter rather than those of Shakespeare and contact your land use lawyer.